This Fallon plan welcomes you with a front porch and a grand, two-story entry. Plenty of cabinets and gourmet appliances in this spacious kitchen with center island makes entertaining a delight. The kitchen and dining opens to the great room with fireplace. Upstairs you'll find a large loft and three spacious bedrooms including a lavish master suite with oversized walk-in closet. House sits on south facing lot where you can relax under your covered patio and enjoy this private yard backing to open space. Full yard landscaping with irrigation is included. Terrain is a master-planned community with many amenities, trails, and parks to enjoy. 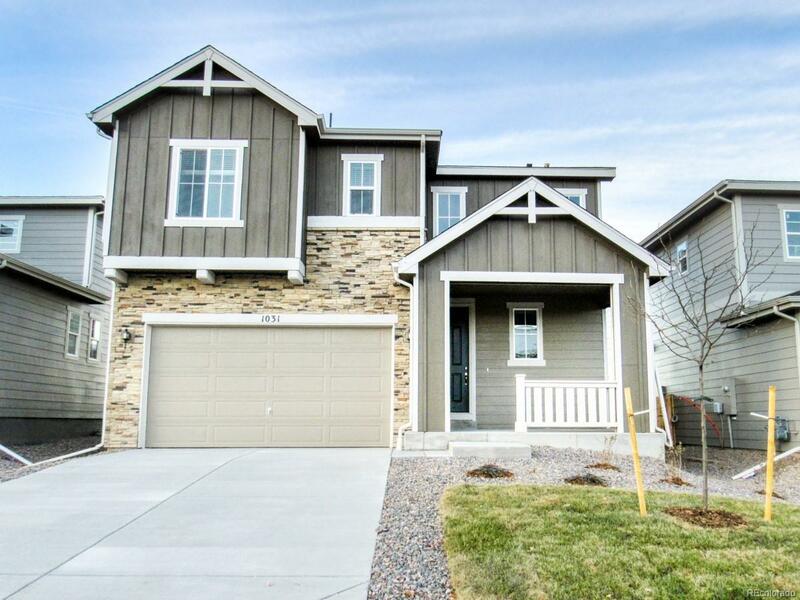 The close proximity to downtown Castle Rock and I-25, make it a convenient location close to shopping and dining. There is still time to select your finishes at the Richmond American Home Gallery. This home is under construction and will be available December 2018.